This 2 Days Sipi falls tour from Kampala City includes a visit to sezibwa falls and a boat cruise to the source of the Nile then after embark on our sipi falls tour from Kampala City as we drive to Mbale town home of Mount Elgon, while here we start the sipi falls tour with a coffee tour then hiking to sipi falls. 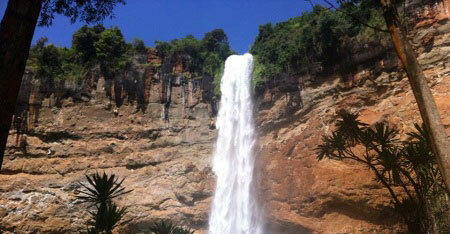 This Sipi falls tour from Kampala city can be organized in groups or as a Sole Traveler. Day 1: Transfer to Sipi falls – Source of the Nile Boat cruise and coffee Tour. Our Sipi falls tour from Kampala city, day one we will pick you from your hotels or area of residence in either Kampala or Entebbe and transfer you to Sipi falls, pass via Sezibwa forest near Mabira forest and thereafter head to Jinja for a boat cruise as we visit the source of the Nile later proceed to Sipi falls for a guided community and coffee tour overnight, hence experiencing an interesting sipi falls hiking safari Uganda. Meal Plan Dinner. Day 2: Sipi falls hiking and transfer back to Kampala. As we encounter Sipi falls tour from Kampala City, an early morning breakfast will be served then go on a guided triple falls visit which will enable you have great scenery and views of the world’s great caldera volcanic mountain then travel back to Kampala city and that will mark the end to our 2 days Sipi falls tour from Kampala city that includes a visit to the source of the Nile adventure hence experiencing great sipi falls hiking safaris Uganda. Meal Plan Breakfast. 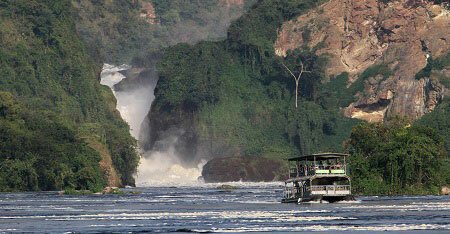 2 Days Sipi falls tour from Kampala city and Jinja trip Price per person US$. Transportation from Kampala and back with driver and fuel cost. No accommodation and meals.